Fruit salad is the perfect treat for the warmer months, it's refreshing and you can pretend you're being healthy even if you put half a pot's worth of cream with it. 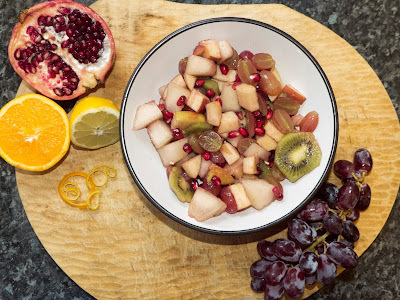 However, as this is England and the weather only gets really hot once in a blue moon this fruit recipe adds a touch of warmth making perfect for any weather. Half a punnet of grapes. Seeds of 1 large pomegranate. 1 shot (44ml) of gin. 1. This part is pretty obvious. Cut up all your fruit, it doesn't have to be the fruit I've listed chose any fruit you like (except banana, banana has no place in fruit salad) and place it in a large bowl. Mix fruit. Cover the bowl and put in the fridge. 2. 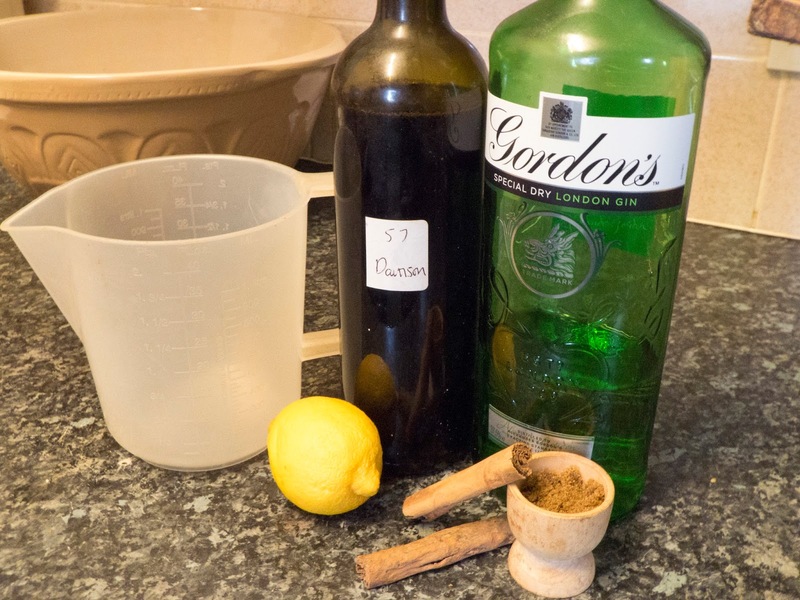 Pour the wine into a measuring jug followed by the gin and sugar. Mix well. Then add the orange juice and lemon zest. Mix well again. The put in the two cinnamon sticks and mix again. Cover the measuring jug and place in the fridge. Leave for 2 hours so that the cinnamon sticks have time to mix in. 3. Take both the fruit salad and wine dressing out of the fridge. Pour the dressing gradually while mixing the fruit salad. Place back in the fridge until you are ready to serve. Don't worry if the fruit turns a red colour, that's good and means the wine dressing has been absorbed by the fruit. 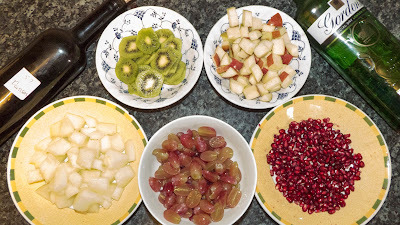 So there you have it, a simple, boozy fruit salad that will make the perfect dessert for both summer and winter. Did you like this recipe? What do you put in a fruit salad?